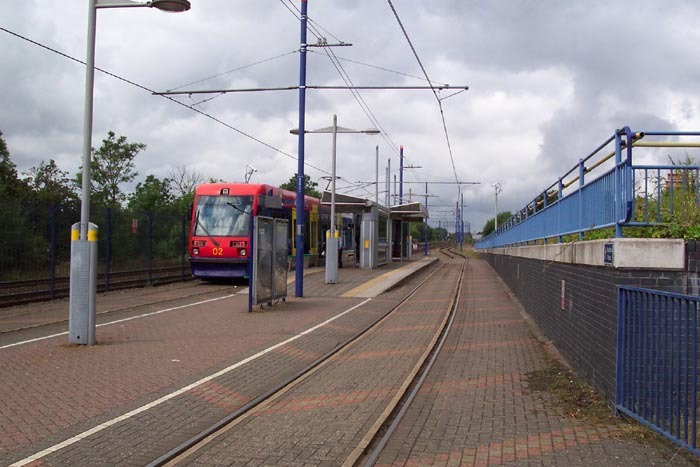 As with the majority of Metro stops, there is little to distinguish Winson Green Outer Circle at track level from any of the others on the line. 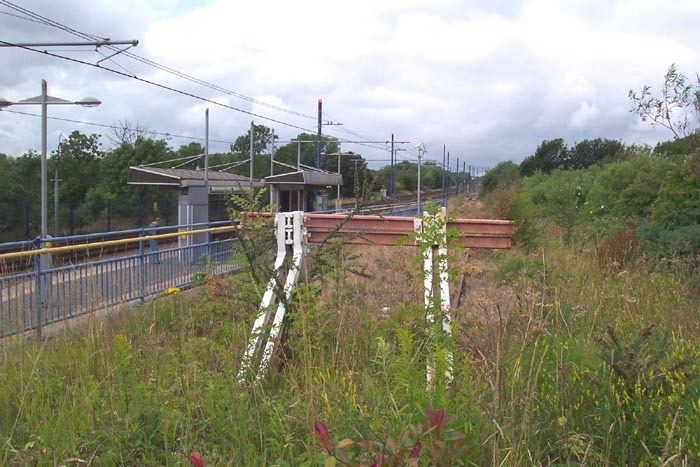 Furthermore, as this site never previously housed a railway station there is little to look for other than the stop itself. However, there are a couple of points of interest here to which we shall turn our attention. 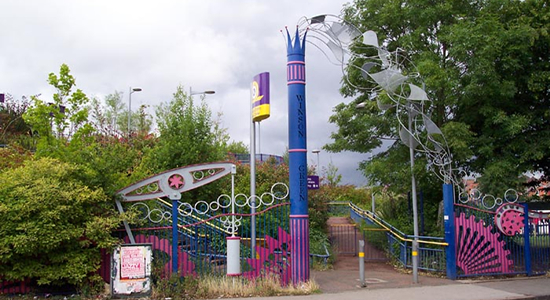 Above is the very colourful entrance to the Metro stop on Boulton Road. Quite why such a 'funky' entrance was provided is debatable however, the entrance is right next to a junior school hence there may have been a decision to make it more appealing for the children than the average drab affair. Above-left we have climbed the long, steep entrance pathway from Boulton Road and are looking back to the entrance with the Metro stop itself to our right. Above-right we have just entered the Metro stop as T69 Tramcar 02 pulls in on its way to Wolverhampton. The interesting point to note here is that the stop consists of a single island platform with the shelters staggered. 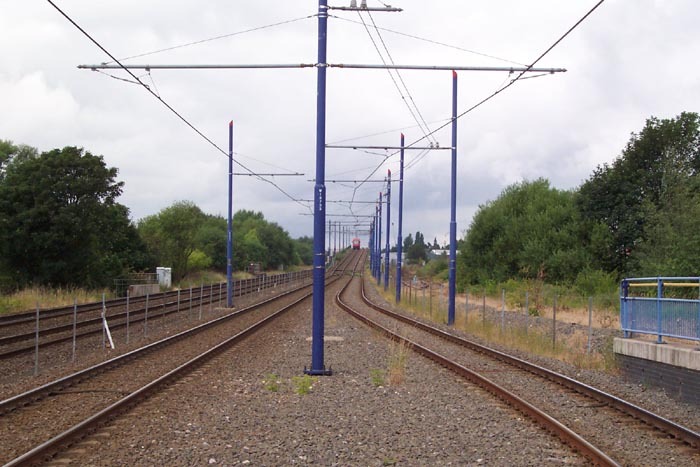 This is due to the lack of width here as the stop is hemmed in by the heavy rail lines to the left and, on top of the raised walling to the right, a siding and buffer stop. 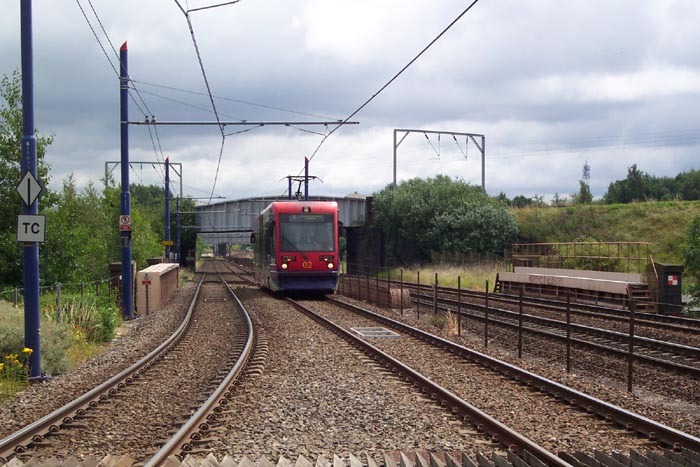 Above-left we see T69 Tramcar 02 once again approaching the stop from Birmingham having just passed under the ex-LNWR's Soho, Handsworth and Perry Barr Line. 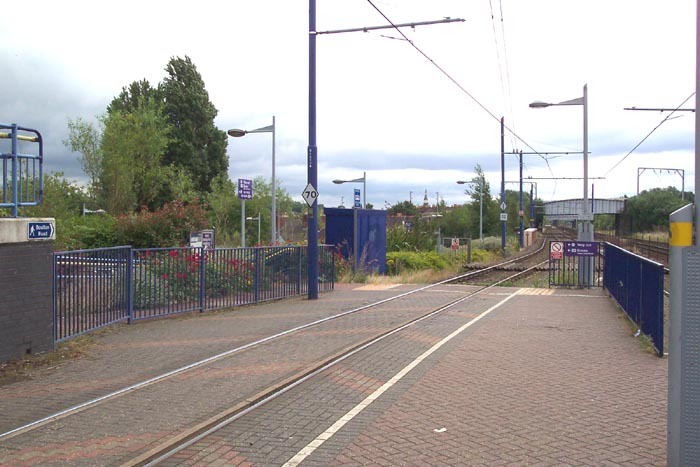 Above-right we are at the 'Wolverhampton end' of the stop looking towards Handsworth Booth Street. This perspective gives a good idea of how hemmed-in the Metro stop actually is. You can also see in the distance the steep gradient of Queen's Head Viaduct between this stop and Handsworth Booth Street. Above-left we have climbed onto the walling surrounding the end of the aforementioned siding at the end backing onto the entrance ramp. Ahead we can see the buffer stop with the Metro stop itself to our left. I have to confess to not knowing why this siding is here as it appears to drop below the level of the ex-GWR Metro lines and I didn't get time to go and explore further: anyone with any information let me know. 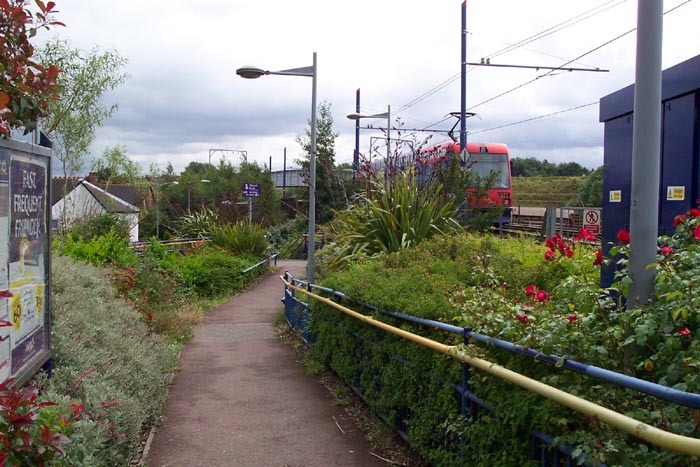 Above-right we are back on the island platform looking at the entrance to the stop from the Boulton Road pathway. All-in-all, there are a few distinguishing features here that make it worth a visit but I wouldn't recommend going to much effort as there are far more interesting places to visit in the region.